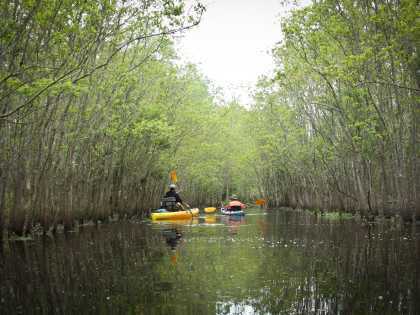 Lafayette Travel and the Bayou Vermilion District have partnered to create the Vermilion Voyage, a three-day overnight paddle down the Bayou Vermilion launching from the Acadiana Park Nature Station to Palmetto Island State Park. Participants will have the rare opportunity to consecutively paddle just over 50 miles of the Vermilion through Lafayette and Vermilion Parishes. Registration for the event is $400 and includes paddle craft, life jacket, guide, shuttle service, insurance costs, breakfast, lunch and dinner with some beverages as well as evening entertainment. Participants are encouraged to bring their own water, snacks and other essentials they may need for the trip (see suggested packing list in FAQs). A full check list of suggested supplies will be made available closer to the event date. 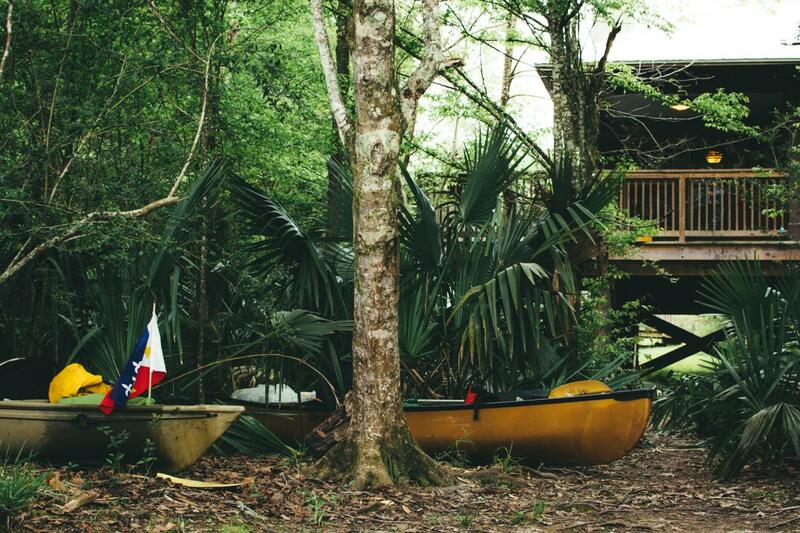 NOTE: While this voyage is considered a Class I (paddler is familiar with basic strokes and can handle a tandem canoe competently in flat water) we suggest you sign up for Bayou Vermilion District&apos;s Beginner Paddling class before the Vermilion Voyage. You can view dates and register for the class by clicking here. The event will launch from the Acadiana Park Nature Station on Thursday, March 22. Participants will park their cars at Vermilionville at 7 a.m. and will be transported in groups by shuttle to the Nature Station. 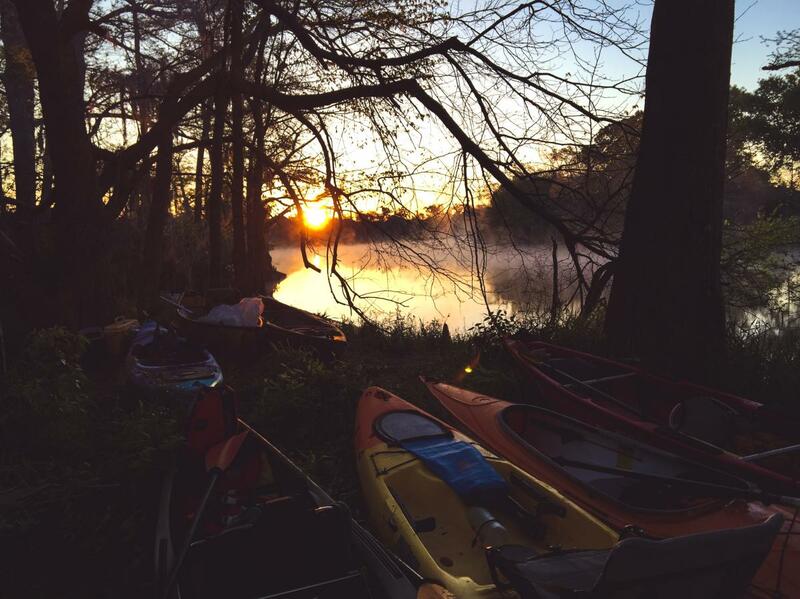 Paddlers will launch from the Nature Station around 8 a.m. and will stop for lunch at Vermilionville. There will also be an opportunity for a brief guided tour of the village and watershed exhibit. Overnight will be at Southside Park where primitive camping will be available with access to electricity, bathrooms and water. There will be an outdoor movie screening of The River Wild courtesy of Southern Screen as well as dinner provided by La Cuisine de Maman. The second day will start with a grab and go breakfast launching from Southside Park at 8 a.m. Paddlers will break for lunch around the mid-way point where we also take an extended break to explore. Overnight will be at Richard’s Sale Barn where primitive camping will be made available with minimal access to electricity. There will be live music by Soul Creole in a historic cattle auction barn as well as dinner provided by Scratch Food Truck. The third day will start with a grab and go breakfast launching from Richard’s Sale Barn at 8 a.m. Paddlers will break for lunch around the mid-way point where we also take an extended break to explore. Overnight will be at Palmetto Island State Park. Cabins are available to reserve for those who would prefer not to camp. Reservations ARE NOT coordinated through the Vermilion Voyage and must be done on an individual basis by clicking here. Primitive camping will be made available with access to electricity, bathrooms and water. Dinner will be provided. 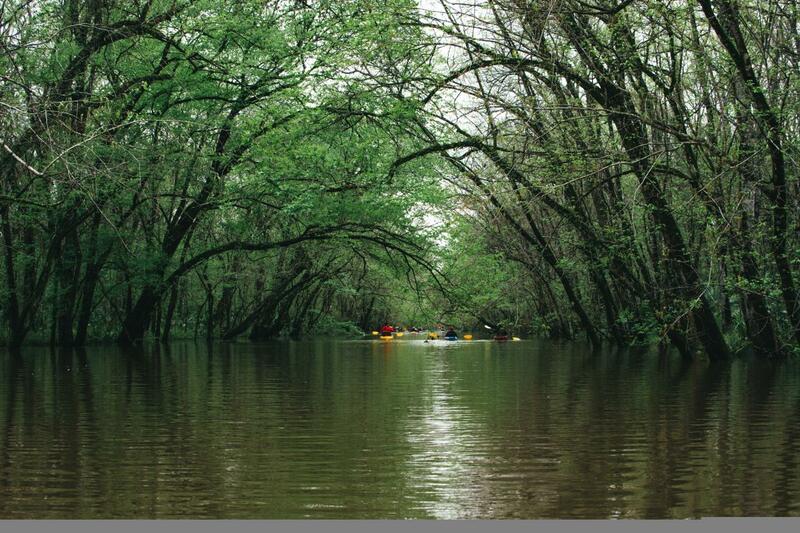 There will also be an optional midnight paddle through Palmetto’s canoe trail. Paddlers will be picked up on the fourth day at Palmetto Island and transported back to their car at Vermilionville along with their gear. 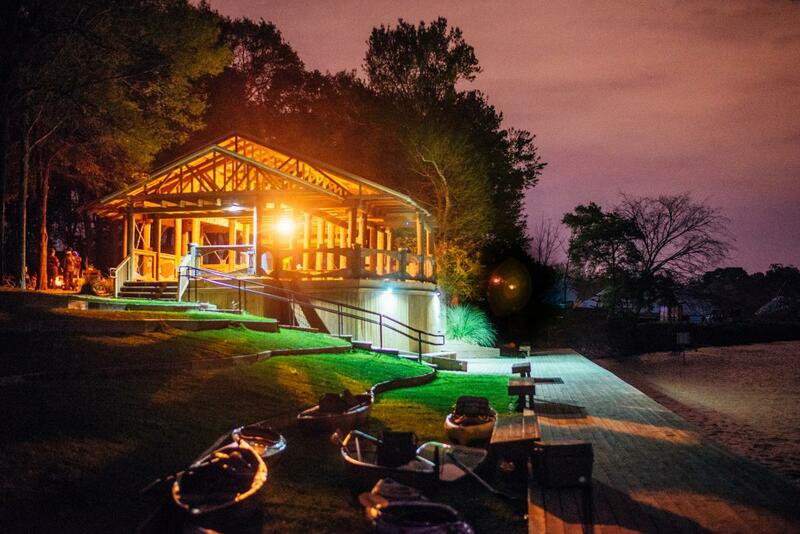 Paddlers wishing to leave Saturday night must make arrangements on their own. For more information or to register by phone, please contact Jesse Guidry by clicking here or call (337) 769-3816 or Greg Guidroz by clicking here or calling (337) 233-4077x21. What if I register as a single person? All individuals who register as one person will be paired with another registrant or guide to fill the two person canoe. If this is an issue that will prevent you from registering we ask that you please contact the organizers so we can assist. Can I bring my own craft on the voyage? Yes, this option will be available to the first six (6) who make the request. We have one trailer that can haul six (6) canoes/kayaks, hence the limit. If we have additional space we will update the number at that time. Keep in mind your registration fee covers the cost of your canoe. While we understand that people will want to use their own crafts, we are trying to make this a worry free experience for you. The hassle of loading your boat on and off your vehicle and transporting it is something we&apos;re trying to eliminate. Do I have to pay the whole registration fee if I am using my own canoe/kayak? Yes. The cost of the trip is mainly for your guides, insurance, meals and evening entertainment. The cost of the canoe is not large enough to discount the registration cost. Yes, all attendees MUST be 18+ years of age or older. If the attendee is under 18 years of age they MUST be accompanied by a parent of guardian. All cars will be parked for the duration of the trip in the Vermilionville parking lot, which is locked overnight. Transportation will be provided to the starting point as well as back to Vermilionville after the trip. For more information or to register by phone, please contact Jesse Guidry at jesse@lafayettetravel.com or call (337) 769.3816 or Greg Guidroz at environmental@bayouvermiliondistrict.org or call (337) 233.4077 x. 215. Refunds are allowable up to 30 days before the event. Within the 30 day period before the event no refunds will be issued. No you do not need a printed ticket. All you need is your ID for check-in. Below is a list of required and optional gear that you should pack for the trip. If you are in need of any of these items we recommend you check out Pack & Paddle, one of the supporters of the Vermilion Voyage as well as the Backpacker.